Spiritual health is an essential part of everyday life – like exercise and diet. We invite everyone to embark on a practical, accessible, spiritual health programme. Enjoy how to sustain a nourishing connection to the wonder and energy of life, to connect with others and be of service. 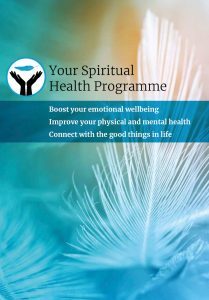 Your Spiritual Health Programme has a straightforward approach, grounded in good science, which you can use to boost your emotional wellbeing and improve your physical and mental health. We will be launching it nationally in Spring 2019. More information to come. Watch our beautiful video below to see how others are developing their spiritual health practice. We develop and provide resources and training for organisations and communities. We support people in developing their own mature and autonomous approach to spirituality and self-development. 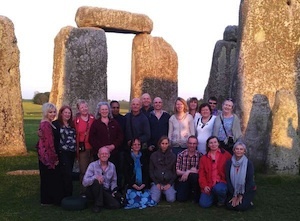 We deliver a UK/EU recognised qualification, the Diploma in Practical Spirituality and Wellness. We support organisations develop good practice in spirituality and wellbeing. We provide a network and community for our members — friendship, ongoing support, events and continuing personal, professional and spiritual development. As individuals and as a community we believe in the profound benefits of spirituality for personal and social wellbeing. We therefore support people informally and formally on their spiritual journeys in one-to-one and group situations; and we also provide organisational support and trainings. 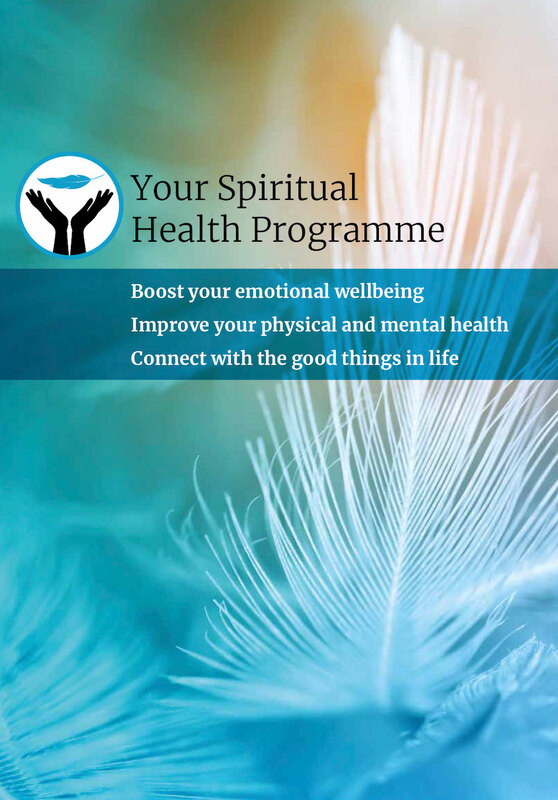 We are about to launch Your Spiritual Health Programme. This is a straightforward approach, grounded in good science, which anyone can use to boost their emotional wellbeing, improve their physical and mental health and connect to the good things in life. It is a forty page A4 booklet with many enjoyable exercises. We are delighted to announce receiving a grant from Awards for All to develop video and digital resources for our Everyone Cares programme. The photograph shows Denise Michell, Mayor of Glastonbury, with Diana Brown and William Bloom in the Spiritual Companions office. The first Spiritual Care Conference, organised and hosted by the Spiritual Companions Trust, took place 17-19 May 2013. 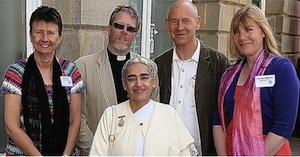 In the picture left to right: Julie Roberts, David MacGeoch, Sister Jayanti, William Bloom, Sarah Jane Williamson.